If our economy’s brisk economic growth of late has failed to uplift the lives of far too many Filipinos, we only need to look at our farms to see why. Our country’s perennial difficulty in achieving a dynamic farm sector is, to my mind, the main reason our economic growth has not been inclusive these past years. To be sure, much higher budgets have been thrown the way of the Department of Agriculture, heeding the persistent clamor from sector advocates. But if we just do the same things that never got us anywhere again and again, we’d only be throwing money into a bottomless pit—or, as recent events suggest, into undeserving pockets. Nearly four years ago, I led a team tasked to advise the DA as it prepared to update its Agriculture and Fisheries Modernization Plan. The team summed up its recommendations in five paradigm shifts that must transpire if Philippine agriculture is to get moving. The needed shifts were: (1) from self-sufficiency to food security as a goal, (2) from a production focus to a holistic value chain perspective, (3) from targeting production levels to controllable performance indicators, (4) from top-down management to province-led devolution, and (5) from commodity- and project-oriented to function-oriented budgeting. There is little to suggest that such shifts in approach have since occurred. The top DA leadership politely rejected the first paradigm shift; they were so certain then that rice self-sufficiency could be achieved by 2013. We were bothered by the usual questions on feasibility (could it really be done? ), resource implications (at what cost? ), and advisability (would it really serve our best interests?). We cited how Malaysia, with similar natural endowments and far greater budgetary resources, had always deemed it wise to target only 65 percent rice sufficiency. They are, nonetheless, much more food secure and their farmers have a much higher standard of living than ours. 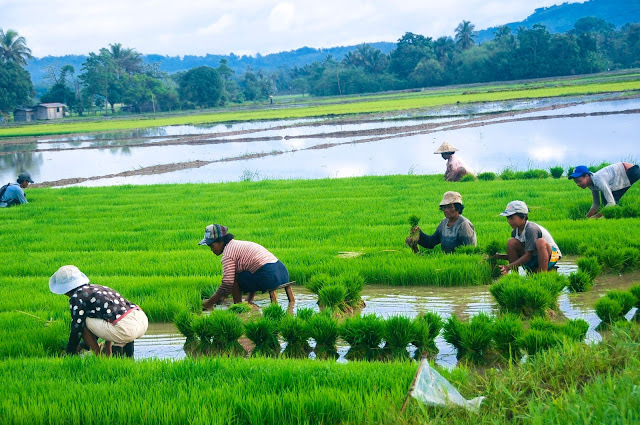 Their farm sector has progressed so well they can now raise their rice target to 80 percent, yet still well short of the 100-percent sufficiency we so doggedly pursue (or claim to) at the expense of the rest of our farm sector. Years of research by Professors Ramon Clarete and Arsenio Balisacan, among others, have in fact shown that our fixation on rice self-sufficiency undermines food security, and is costly, ineffective, and ultimately anti-poor. Food security must also look beyond rice, and address protein and other nutrient requirements as well. The needed shift in focus from the production system alone to the entire value chain won’t happen for as long as the rest of that chain outside of the farm is considered the domain of the Department of Trade and Industry (DTI). Such turf compartmentalization will not work in a government not known for strong inter-agency coordination. We could take the cue from Vietnam, Israel, Poland and many other countries that have a Ministry of Agriculture and Rural Development, or Malaysia, which has a Ministry of Rural and Regional Development, rather than just a Ministry of Agriculture. This way, agriculture could be addressed and managed more holistically in the wider context of managing the rural economy, rather than as a production system alone. The fourth paradigm shift, from top-down planning and management to province-led devolution, was also rejected by the DA leadership, which was even bent on pushing to re-centralize agricultural extension services. We suggested that the DA’s effective leadership of the sector is best exercised by “steering,” while leaving the “rowing” to the LGUs that are much closer to problems on the ground, and can be more responsive to actual needs. We argued that the DA must focus on its core functions of regulation (standard-setting, quarantine, inspection, licensing and certification) as well as capacity-building for LGUs. The latter should worry about front-line delivery of public goods and services, extension and making inputs more accessible to farmers, with provincial agriculture offices coordinating the lower levels. Finally, the DA must get away from commodity- and project-oriented budgeting, and organize its budget to primarily support its core functions described above, including technical support for LGUs so they can do their “rowing” job well. Scholars like Professors Cristina David, Rolando Dy and Eliseo Ponce lament how more than half of the agriculture budget has focused on rice even as it accounts for less than one-sixth the value of total farm production. Meanwhile, public spending has been modest for exportable farm crops, major import-competing ones like corn and sugar, and those where poverty incidence is highest, i.e., coconut and fisheries. A more function-oriented budget could correct this. Albert Einstein once defined insanity as doing the same things over and over again and expecting different results. It’s time for more sanity in Philippine agriculture.